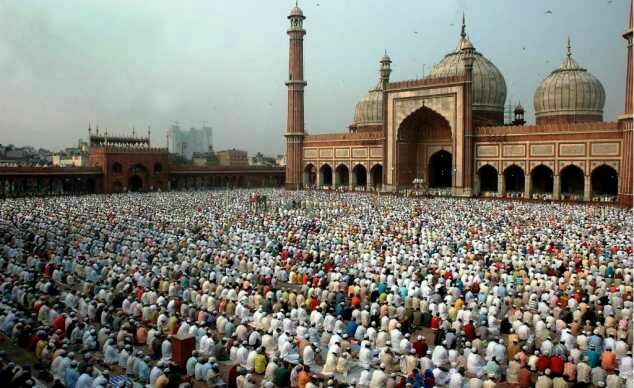 The day of Eid is not merely a festive occasion. A Muslim acquires great rewards from and draws close to Allah I if he spends the day of Eid according to the teachings of Shariah and Rasulullah Sallahu Alaihi Wa Salam. 1. To rise as early as possible (In fact much of this night should be spent in Ibadah). 2. To make Ghusal and use the Miswaak. 3. To wear one’s best clothes whilst ensuring that it conforms with Shariah (Sunnah dress). 5. To eat anything sweet (such as dates) before departing for Eid salaah. 6. To go to the “Musalla” as early as possible. 7. 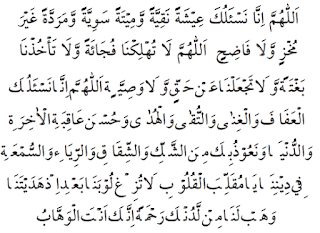 To give “Sadaqatul-Fitr” before leaving for the Musalla. 8. To choose a different route when returning from the Musalla. 9. To walk to the Musalla. However there is no harm in using any means of conveyance if the Musalla is a distance away. LA ILAHA ILLAL-LAHU WALLAHU AKBAR. There is no god but Allah Allah is the Greatest. Allah is the Greatest and all praise is for Him. 1. No Nafl Salaah should be performed in the Musalla before or after Eid Salaah. 2. It is undesirable to perform the Eid Salaah in any other place besides the Musalla without any valid excuse. remain seated till the Khutbah ends. NOTE: It is sinful not to listen to the Khutbah. 4. If such an error is made in Eid Salaah which necessitates Sajdah- Sahwa, then the Sajdah-Sahwa could be left out to avoid confusion. In English: “I am performing two Rakaats Eid Salaah which is wajib with six extra Takbir which are also wajib”. 1) Make intention for Eid-ul-Fitr for two Rakats Wajib as above and then lift your hands up to your ears and say ‘Allahu Akbar’ and then fold them below the navel as normal. 2) Now pray ‘Sana’ and then say Allahu Akbar and lift your hands up to your ears and release them and again lift your hands and say Allahu Akbar and release them again and then lift your hands again and say Allahu Akbar and then fold them. 3) This means fold your hands after the first and fourth Takbeer and in the second and third Takbeers release your hands. The best way to remember is that if the Imam shall recite after the Takbeer then fold your hands and when he shall not recite (after a Takbeer) release your hands and hang them on the side. 4) After folding your hands after the fourth Takbeer the Imam will silently recite ‘A’udhubillah’ and ‘Bismillah’ and then he will pray Surah al-Fatiha (‘Alhamd Sharif’) and a Surat loudly and then go into Ruku and Sijdah and (thus,) complete one Rak’at (unit). 5) Then in the second Rak’at the Imam will first pray the Alhamdu and a Surat then lift your hands to your ears and say Allahu Akbar and release them; and do not fold them and repeat this twice. Therefore a total of three times the Takbeer shall be said. On the fourth time say Allahu Akbar and without lifting your hands go into Ruku. 1. If the Imam forgets to recite the extra Takbirs in the first rak’ah and if he remembers after reciting surah Al-Fatihah, he should recite the extra Takbir and repeat surah Al-Fatihah. 2. If a person joins the Eid salaah after the Imam has completed the extra Takbirs then he should recite the Takbir of Tahrimah and immediately, the additional Takbirs, dropping the hands between the first two additional Takbirs and clasping them after the third, making sure that the hands are raised to the ears on each Takbir. 3. Since the condition of Eid salaah is the formation of a jama’ah, a person who missed Eid salaah is unable to perform the salaah on his own. There is no Qadha for Eid salaah. 4. A person who joins the Eid salaah after the Imam has already recited the Eid Takbir should recite the Takbir immediately upon entering the salaah. However, if he enters the salaah when the Imam is about to go into Ruku and he (the late-comer) fears that he will not be able to join the Imam in the Ruku if he stands and recites the Takbir, then he should instead recite the Takbir in the Ruku, and forgo the tasbih of the Ruku but, while reciting the Takbir in Ruku the hands should not be raised as is done when reciting the Takbir when in Qiyam (the standing posture of salaah). If the Imam emerges from the Ruku and the latecomer has not yet completed the recitation of his Takbir which he had missed then he should leave off the balance of the Takbir and join the Imam. In this case the balance of the Takbir which he could not complete are waived. 5. If someone missed a Rak’ah of the Eid Salaah, he should fulfil it as follows: After the Imam completes the salaah, he (the one who missed the Rak’ah) should rise and perform one Raka’h on his own, reciting Qira’ah (Surah Al-Fatiha plus a Surah) first, followed by the Takbirs. The rest of the Rak’ah is then completed as usual. Taj `alna `an Haqqiw Wala Wasiyyah. Wahab Lana Mil Ladunka Ramah. that is dignified and not degrading. and do not make us turn away from the truth or orders. reciprocation in the Hereafter and in this world. rebelliousness, pride and show in our religion. our hearts slip after guiding them. Give us mercy from Your treasures. You alone are the Bestower. 4. Even if women pray the Eidain prayer on their own, then this is also not permissible as it is a condition to establish the Eidain prayer that it is performed with a congregation. Yes! Women should pray the nafl (supererogatory) salaah on that day; at home, on their own. Insha’Allah they shall receive the blessings and rewards of that day. Men ap ke jawab ka intazar karun ga.
Kia ye koe hadith pak hai k.
Nabi Pak ne irshad farmaya k Jis shakhs ki Namazain Qaza hoi hon or taadad maloom na ho, to wo Ramzan k aakhri Jumma k din 4 rakat nafal 1 salam k sath parhay, har rakat main Surah Fatiha k baad Ayatal-kursi 7 baar, Surah Kauser 15 baar parhay, Agar 700 saal ki namazain bi qaza hoi hon to is k kafaray k liya ye namaz kafi hai. Please men bohut pareshan hun jaldi btana. No.. aisi koi hadith nahi hai aur ye sahi nahi hai. Behtar hoga ki aap salato tasbih ki niyat karle isse aapki poore saal ki kaza namaze muaf ho jaegi.